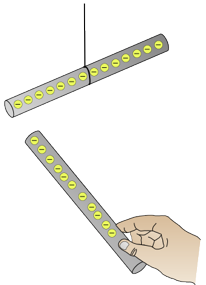 A charged polythene rod is brought close to a similarly charged polythene rod. Which one of the following is most likely to happen? Which one of the following materials is the best insulator? 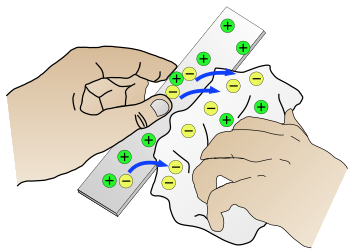 A polythene rod gains a negative charge when it is rubbed with a cloth. Which one of the following statements best explains how this happens? 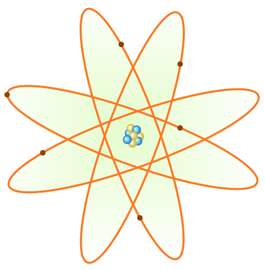 Which one of these subatomic particles is NOT found in the nucleus? When you rub a polythene rod with a wool cloth, electrons are transferred from one to the other. What charge does the polythene rod get? Sometimes an electric charge may build up on insulators. The rods repel each other. The rods attract each other. The top rod spins wildly around.